COLUMBUS – Ohio Treasurer Josh Mandel announced today the launch of the Delaware County Library’s online checkbook on OhioCheckbook.com. 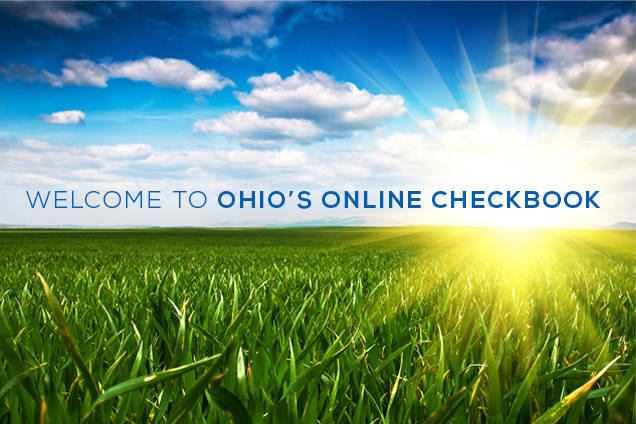 In December 2014, Treasurer Mandel launched OhioCheckbook.com, which sets a new national standard for government transparency and for the first time in Ohio history puts all state spending information on the internet. OhioCheckbook.com recently earned Ohio the number one government transparency ranking in the country for the third year in a row. Delaware County Library’s online checkbook includes over 61,000 individual transactions that represent more than $58 million in spending from 2008 to 2018. OhioCheckbook.com was launched on December 2, 2014, marking the first time in Ohio history when citizens could actually see every expenditure in state government. Since its launch, OhioCheckbook.com has received overwhelming support from newspapers and groups across the state and, as of October 19, 2018 there have been more than 1,020,000 total searches on the site. In March 2015, the U.S. Public Interest Research Group (U.S. PIRG) released their annual “Following the Money 2015” report and Treasurer Mandel earned Ohio the number one transparency ranking in the country for providing online access to government spending data. Ohio was prominently featured in the report after climbing from 46th to 1st in spending transparency as a result of Treasurer Mandel’s release of OhioCheckbook.com. Due to the launch of OhioCheckbook.com, Ohio received a perfect score of 100 points – the highest score in the history of the U.S. PIRG transparency rankings. In April 2016, U.S. PIRG announced that Treasurer Mandel earned Ohio the number one government transparency ranking in the country for the second consecutive year in a row. Due to the launch of OhioCheckbook.com, Ohio again received the highest perfect score of 100 points – marking the second time in two years Ohio received the highest possible score in the history of the U.S. PIRG transparency rankings. In April 2018, Ohio once again earned the number one ranking in the country for government transparency for the third consecutive year by U.S. PIRG. Due to OhioCheckbook.com, Ohio again received the highest score in the nation. U.S. PIRG cited Ohio’s addition of local governments, pension funds and public universities to OhioCheckbook.com as a primary reason for the high ranking, and praised Ohio for setting the national standard for state spending transparency. For more information or to view your local government website, visit the Local Government option on OhioCheckbook.com or click on DelawareCountyLibrary.OhioCheckbook.com. Our Mission: The mission of the Ohio Treasury is to protect, manage, and invest state money with integrity and high ethical standards while providing innovative financial services and educational resources to all Ohioans. Confidentiality Notice: This message and any response to it may constitute a public record, and therefore may be available upon request in accordance with Ohio public records law (ORC 149.43). This email message, including any attachments, is for the sole use of the intended recipient(s) and may contain confidential and privileged information. Any unauthorized review, use, disclosure or distribution is prohibited. If you are not the intended recipient(s), please contact the sender by reply email and destroy all copies of the original message.